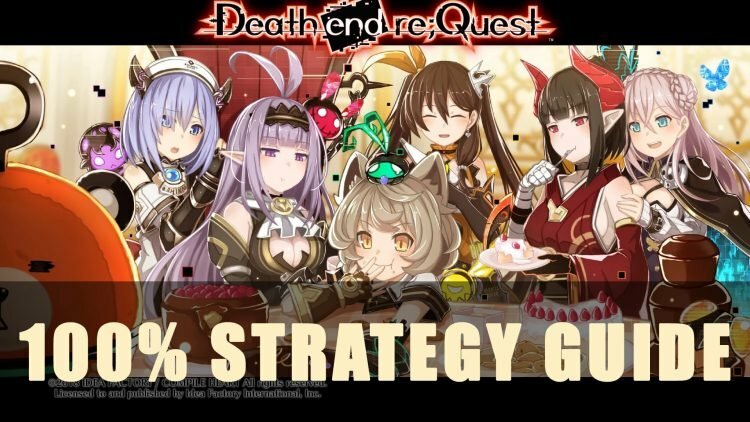 Welcome to our Death End Re;Quest 100 % Strategy Guide! This page acts as a hub to walk you through a list of useful articles and guides to guarantee you don’t miss a thing. Death End Re;Quest is a dark RPG game that merges the typical JRPG structure paired with a brutally detailed visual novel part storyline. Our guides range from starter tips to per chapter guides and even cover the available DLC. If you want to get going for platinum, check out our Death End Re;Quest Trophy Guide & Roadmap for trophy assistance. You can bookmark this page and use it as your guide to defeating the glitched world and destroying those bosses. By using this strategy guide you should be able to tackle each chapter and aid you in completing the game getting closer to platinuming the game. If you enjoyed our guide be sure to find out what we thought of the game in our Death End Re;Quest Review. You can also check out further guides with our Death End Re;Quest Starter Guide & Tips as well as our Death End Re;Quest Trophy Guide to learn how to platinum this game! Don’t forget to check out our guides section for more gaming help.